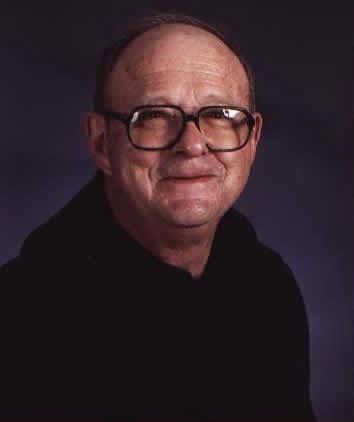 Having been anointed by Abbot Michael and fortified with the grace of the sacraments, Father Adrian Laible , O.S.B., died after a long battle with Alzheimer's disease at Valhaven Nursing Center in Valley, Nebraska on the evening of December 28, 2014, the feast of the Holy Family. While his death was not a surprise to us, as a monastic community it is always difficult when you lose one of your brother monks. Father Adrian was born on a farm on November 21, 1932, in Stuart, Nebraska. His parents, Joseph and Rose Laible, gave their son the baptismal name of Bernard. He grew up and attended Saint Boniface Grade School in Stuart and Saint Joseph High School in Atkinson, Nebraska. After high school Father entered the novitiate at Conception Abbey in Missouri on September 7, 1952. He professed his first vows as a monk on September 8, 1953 and took Adrian as his religious name. Once his theological studies were complete, he was ordained to the priesthood by John Cardinal Cody on May 27, 1958. He was soon assigned to the new monastic foundation of Mount Michael in Elkhorn, Nebraska. An article in the September,1958, issue of the Michaeleen reports that Father Adrian came to Mount Michael that fall to begin his work at Saint John's Seminary "with the holy oils of ordination not yet dry upon his hands." Any list of the jobs and positions Father Adrian held over the past years is bound to be incomplete. During his 61 years of monastic life he was appointed to many jobs and positions. He served for many years as a dean in the seminary. He was a teacher (history, social studies, economics) both in the seminary and later Mount Michael Benedictine. Over the years he was business manager, treasurer, director of food service, grounds keeper , director of junior monks and postulants. Of course, he also assisted in many parishes throughout the archdiocese as part of Mount Michael's pastoral mission work. His avocations were many. Above all he loved his stamp collecting--especially his collection of Vatican stamps. He also loved tending to bluebirds. He both fed the birds and built houses for them. It would be safe to say that at the height of Father Adrian's bird feeding days every bird in Douglas County ate at Mount Michael. As one of the monks said, "Father Adrian feeds more birds than Saint Francis..."
Above all Father Adrian was a good monk. He tried to be as faithful as possible to not only his major assignments, but also those smaller day to day assignments that are so important to a monastery. He was extremely faithful to daily presence at the Divine Office and Mass. Unfortunately, Alzheimer's disease began to take hold about six years ago. On hearing of the death of Father Adrian, a Mount Michael alumnus wrote "he was kind man, with a quick to smile when he saw you and a firm handshake. May he rest in peace." He was a good man and a good monk that will be remembered by all. A wake service will be held at Mount Michael at 7:00 pm on Tuesday, December 30, 2014. His Funeral Mass will be celebrated at 10:00 am on Wednesday, December 31, 2014, in the presence on the monastic community, his family, and friends.